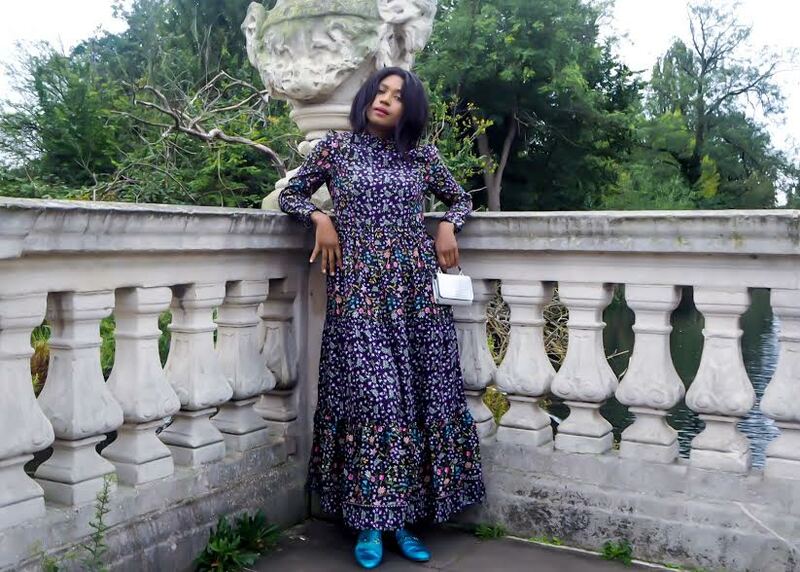 It is not often that I do a whole post dedicated to fashion, but I just could not resist with these must-have romantic floral dresses for Autumn, I mean, guys if they sell out you can not blame me, so I suggest bagging them as quickly as you can. Gone are the days that florals were meant to be for spring and summer, they are becoming a firm dark romantically favourite for the Autumn months and going adorably girly into the Winter months, paired with ankle or knee-high boots and even trainers, what is not to love with a floral dress coming in all different fabrics, from velvet to cotton and silk and the ever feminine lace, with so many designs and styles you are simply spoilt for choice. 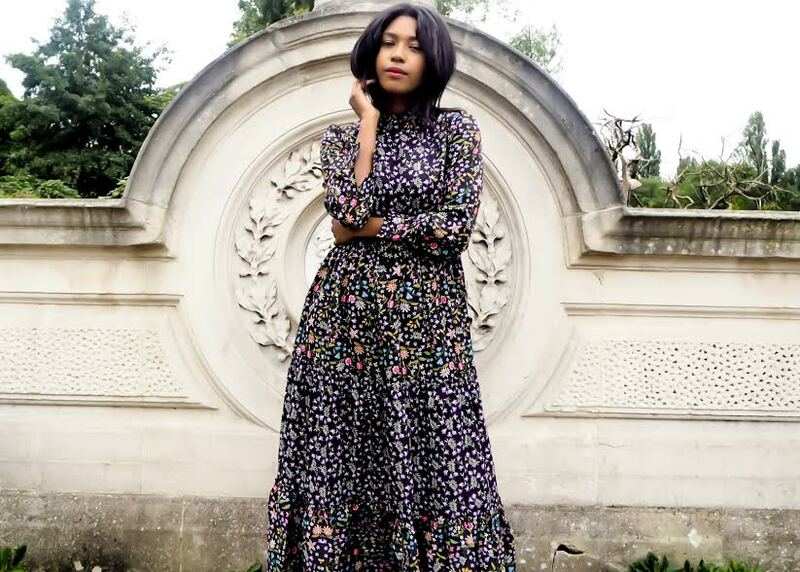 You know my love of Riva, so when I saw this whimsical floral print dress I just had to have it. 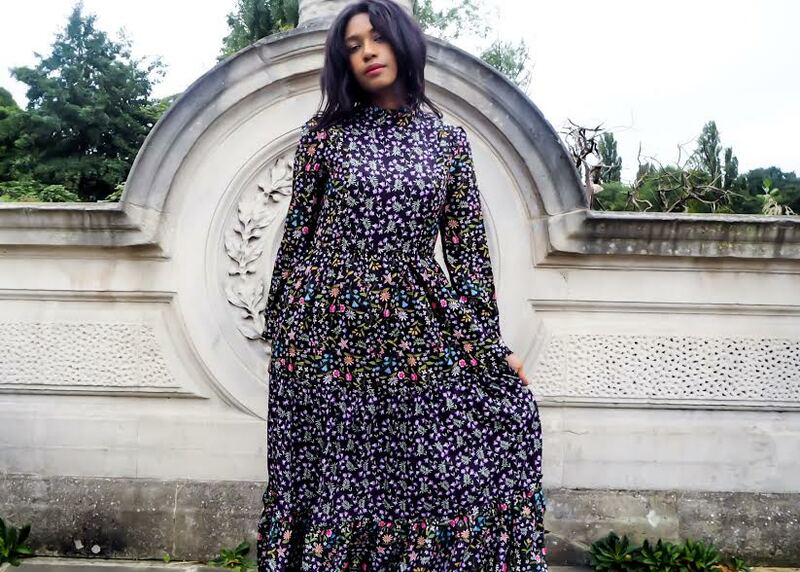 Whilst it is nipped in at the waist it is all kinds of billowy at the bottom and is all kinds of street style worthy. For a more casual look, I opted for no earrings, a messy half up half down hairstyle, a bright bold lip and some blue stand out mules also from Riva. This dress I have to say along with my other floral Riva dress has been my most worn. To give it a bit more of an edgier look, I like to tuck my hair into the high collar, team with trainers and a leather jacket and this cute silver purse. To add a touch of warmth to a floral dress, why not pair with an aviator jacket, H&M has the perfect one, which I am currently lusting after. 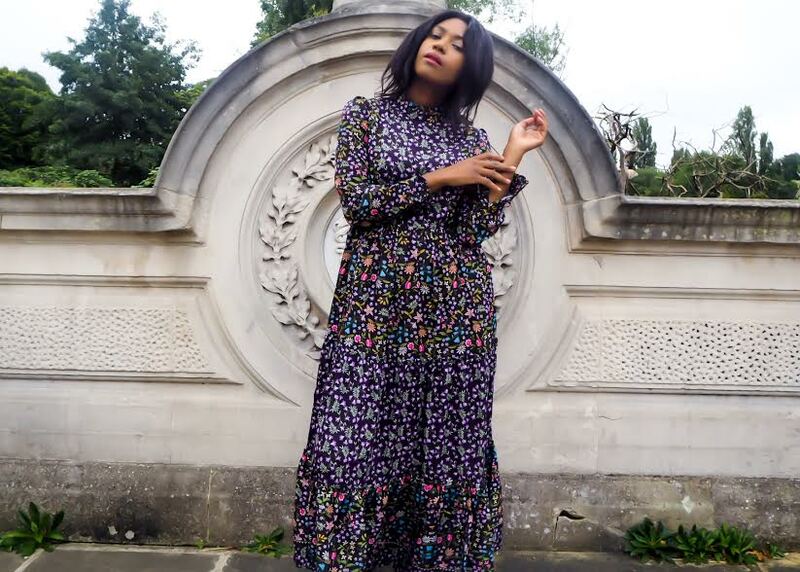 Will you be wearing florals this Autumn or the Winter months? Let me know in the comments below!